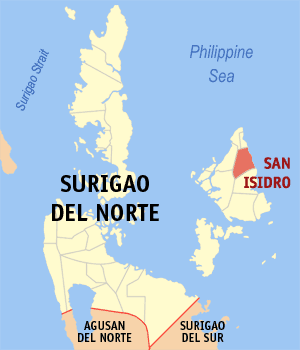 Barangay officials in a Siargao town are up in arms over a construction located just a stone’s throw away from the seashore, which they said was spoiling the barangay’s tourism program and violated the law on easement zones. The officials of Barangay Pacifico, San Isidro town filed an environment case to stop the construction of a concrete residential building owned by Australian national Grant Anthony Kirwan and his partner, Leizel G. Espenido, court documents show. They also asked the court to stop the construction until the legal issues have been resolved, and to direct municipal engineer Ismael Macalos Jr. to cancel the building permit issued to the couple. 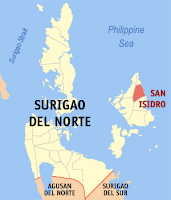 The case highlights a common problem in Siargao Islands in Surigao del Norte: Structures, put up by aliens and locals alike, dot the seashores that critics said apparently disregard environment laws, allegedly with consent from local officials. Led by Barangay Chair Pedro T. Pion, the petitioners said they were compelled to seek legal remedy after municipal officials ignored their complaint. They said Mayor Lamberto B. Dominos Sr. and other officials were informed of the problem but allegedly took no action. Kirwan and Espenido had started construction last November even before securing a building permit, which was eventually released on December 9, the petition said. Petitioners also alleged that the couple had not secured an Environmental Compliance Certificate. Even with the issuance of a building permit, petitioners said the construction remains illegal because it is located within the 20-meter easement set by the Water Code of the Philippines. The offense is punishable by fine or imprisonment, or both.